Do you remember how nativity set helps you to create Christmas atmosphere? At Easter, a festive atmosphere is created with this EASTER RESURRECTION SCENE. 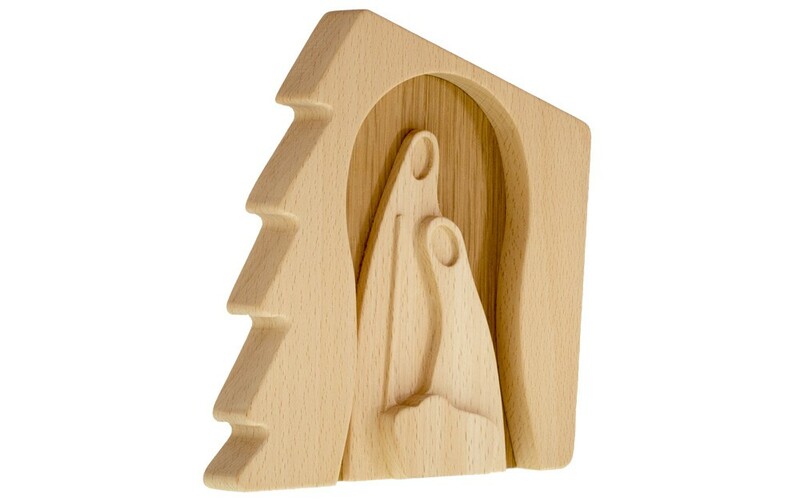 The beautiful set of wooden figures will help you gain a deeper experience of the crucial Easter events. 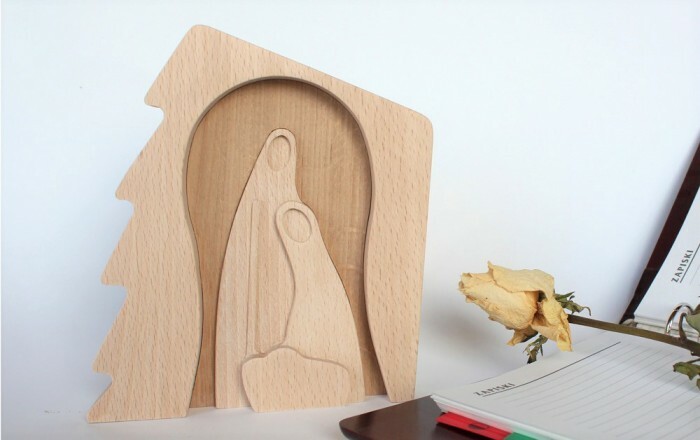 The wooden Easter Resurrection Scene will accompany you from Ash Wednesday to the Resurrection. From Ash Wednesday until Good Friday you set up the three crosses. On Holy Saturday you set up the closed tomb with a Roman soldier guarding it. On Easter Sunday you joyfully open the tomb, and add other figures. The Easter scene is a special and visible decoration that carries the spirit and REAL MESSAGE of Easter. The figures are made of massive BEECH WOOD and can be arranged according to your wishes. The modern and minimalist design tells the story to grown-ups and children alike. The skillful craftsmanship and manual polishing give the figures satin-smooth surface and their unique 3-D form, which enhances life of every character. With the set you will be able to playfully present Easter story to your children, grandchildren, etc. This beautiful Easter scene is worth to become part of your family heirloom! A must-have for people, who like beauty and high-quality, joined with the warmth of wood. The tallest figure measures 23 cm / 9 in. Figures are 2.5 cm / 1 in wide. The whole scene is 50 cm / 20 in wide. You can choose between an OILED and NATURAL set. The aim of oiling is to protect the Easter scene from fingerprints etc. We use natural linseed oil + beeswax. The result is slightly golden surface of the wood. This listing is for an OILED set. You will receive your Easter Resurrection Scene in a cardboard box, additionally protected with handmade wood shavings. The Easter display will be prepared especially for you and the box will be decorated as a ready-to-give gift. It will be our pleasure to add a special card with your message. It is a beautiful and noticeable Easter decoration. It represents Easter events and real message. It speaks to grown-ups and children alike. The figures are made with love and knowledge. The Easter scene and the packaging are environment-friendly. We are at your service and we care for you. Do you have a question, wish or a suggestion? We love to hear from you.